What did you expect from Mika and Peugeot teaming up? Obviously the video is super pop-oriented! 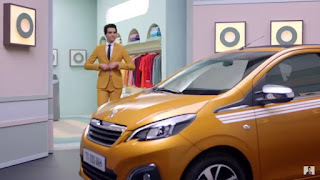 That his tunes are infectious is now a done deal, but to go this far in adjusting the whole city to the color of the Peugeot 108 he picked is a bit bold. You can watch this colorful extravaganza here and be warned - the tune is an earworm!